Dowload Krispy Kreme Fundraiser Pre-Order Form. This form is used to help schools and organization as a source to raise funds. Organizations may print this form for the purpose of taking orders for doughnuts. Once the fundraiser is up, the head of the fundraiser would take the orders to Krispy Kreme. The company would then provide certificates to return to the donors so that the product will be fresh when they come to redeem their certificates. Krispy Kreme will also provide a portion of the profits to the organization. 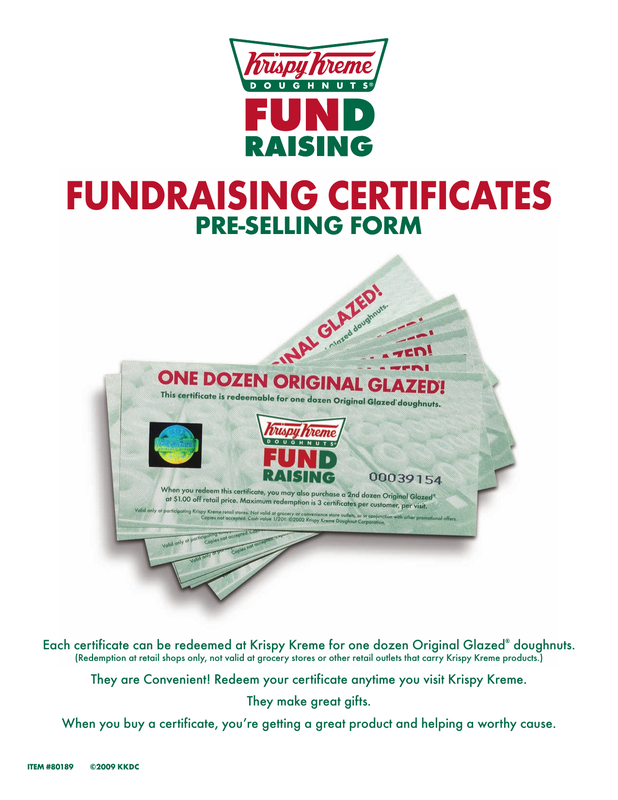 Krispy Kreme Fundraising Certificates sell for a price of $_____ (place your price on the line) each. Hand your money and forms into the head of your fundraiser so that the orders may be fulfilled.